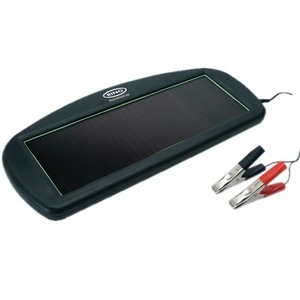 12 volt, 1.5 watt solar powered battery maintainer for car and leisure batteries. Complete with suction cups (for windscreen mounting), LED charge indicator, 12V DC power plug, battery clips and 2.7 metre lead. Can be left connected overnight.